Nowhere to hang your Pinata? 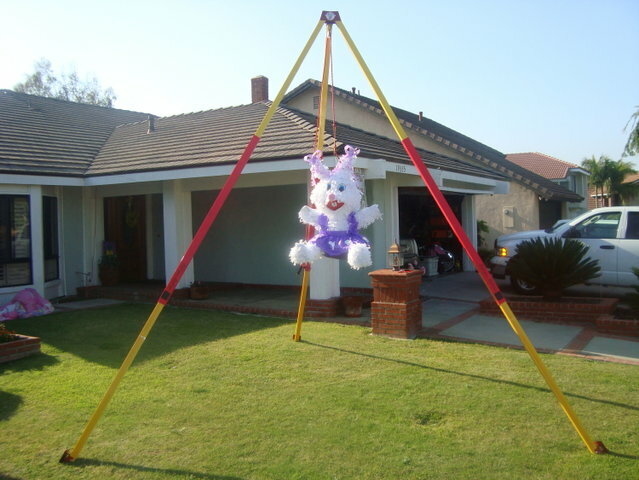 We've got you covered with an awesome lightweight but strong Pinata stand that allows for true Pinata action! Stand easily folds up to put aside. Have fun!!! PLEASE NOTE: This is a supplemental rental which requires a delivery fee if rented alone or customer pickup.